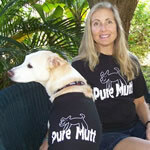 features Pure Mutt Dog Tank! Give a shelter Pure Mutt a home. Join the Pure Mutt movement. Don't buy while shelter dogs die! Our mission is to promote mixed breed dogs and encourage the adoption of shelter dogs. Approximately 4 million animals are euthanized in US shelters each year. Help those who can not help themselves. Pure Mutt donates a percentage of sales to a no kill, non profit shelter. 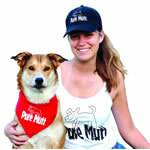 Customize Pure Mutt products for your rescue fundraiser or store! Strut Your Mutt in Style! Buster, Brewster & Sandman singing and celebrating the mutt in all of us.